Funeral stationery is a simple way of personalising a funeral and provides an opportunity to create a unique commemoration of the person who has died. 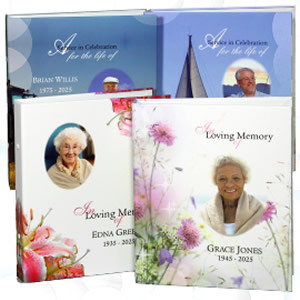 We can provide a selection of beautifully designed Orders of Service, Attendance Cards, Memorial Cards and Bookmarks which can include photographs, personal messages, readings, hymns and poems. 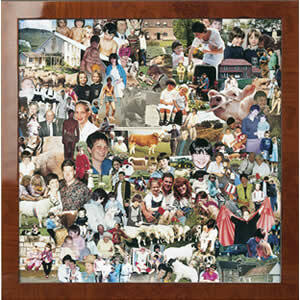 Photo Collage in Frame – We can put together a collage of your photographs to go into an A0, A1 or A2 frame to be displayed at the funeral or wake.